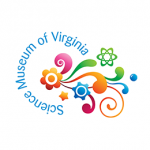 ​​The Science Museum of Virginia is a science museum located in Richmond, Virginia. Established in 1970, it is an agency of the Commonwealth of Virginia. It is housed in the former Broad Street Station, built in 1919. V4 Development was hired by the Science Museum to create a state-of-the-art web system that would be the foundation for their iOS and Android beacon based mobile application called "The Muse." Download the Android version of The Muse. The Science Museum of Virginia is a science museum located in Richmond, Virginia. Established in 1970, it is an agency of the Commonwealth of Virginia. It is housed in the former Broad Street Station, built in 1919. 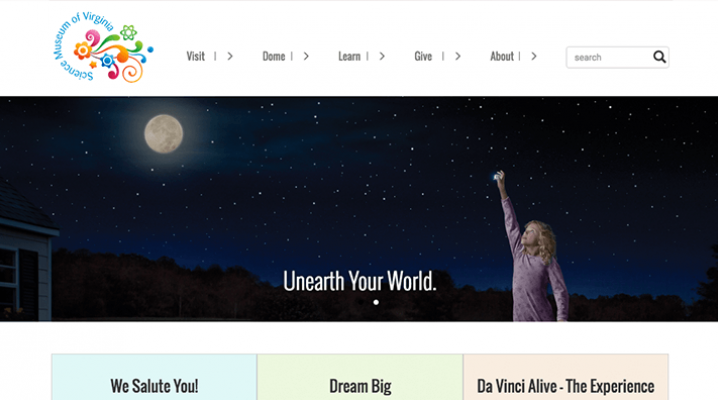 Building a revolutionary mobile teacher. 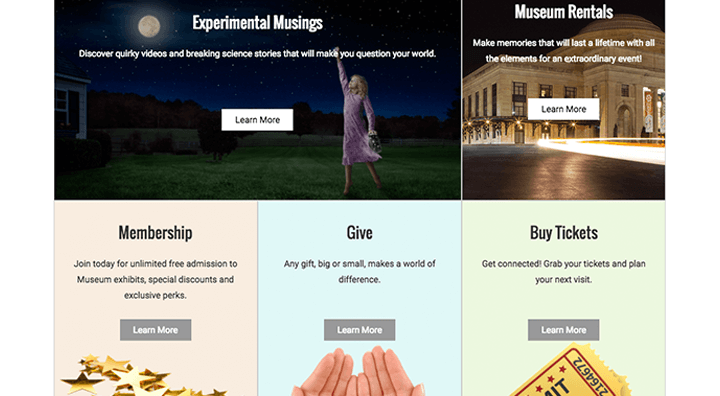 The Science Museum of Virginia approached V4 Development in 2015 to build one of the nations first beacon based museum application for both IOS and Android. The mobile applications interact with the beacons using bluetooth low energy to transmit various forms of data to the mobile user. The beacons were strategically placed throughout the interior and exterior of the historical building in order to give the user way finding, messaging, audio and video push notifications when the user is within a specific distance. 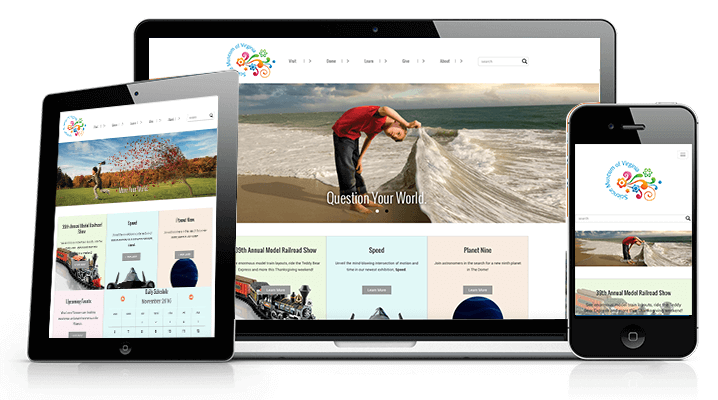 The backend for the mobile application also ties into the new responsive website that V4 developed using October CMS based on the Laravel Framework. V4 Development also used an integration of Google App Engine with October CMS to provide an auto scaling and reliable API for the mobile app to utilize. It took V4 Development just eight months to develop the Science Museum of Virginia’s custom software that was comprised of a backend database, front-end public website on October CMS and an IOS and Android mobile application both written in their native languages. Mobile (iOS/Android): Estimate beacons / Google’s Eddystone beacon protocol, Web service API via Google App Engine Standard Environment, Asset consumption via Laravel CMS, Google Cloud SQL and SQLite database. 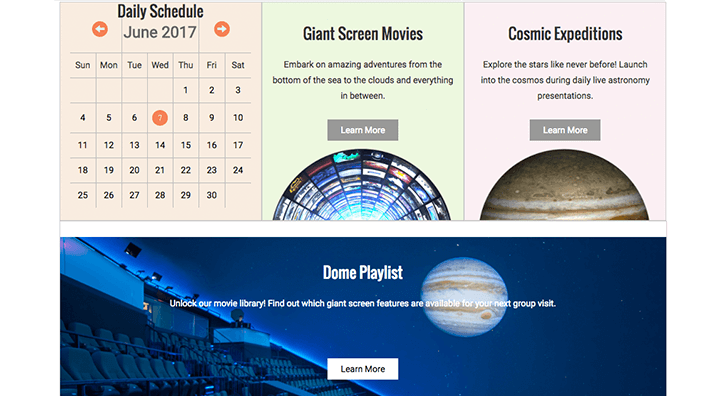 The Science Museum launched their new website in April of 2016, along with the mobile application in May of 2016.